Pornpichai Engineering Limited Partnership is truly a family owned and operated business. Kittichai is the president and specializes in painting, his wife does the accounting, and his son is car insurance agent. 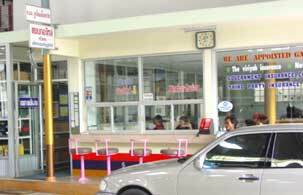 They have been in business since 1971, located in the heart of Phuket. Want some custom paint or body modifications done? Bring your ideas to Pornpichai and be amazed as they come to life on your vehicle.